The Autistic Bill of Rights post that I made earlier has gone over so well, that I thought making an image of it would be a good idea. These ten “amendments” cover what I see as the most important issues facing our community right now, although these all come from my experiences, which I recognize are not universal. I’d love to get more voices involved, and to put together a community approved Bill of Rights, so if that’s something you’re interested in. or would like to share with a wider audience, please contact me! Links to some of the best pieces from today, includign several about autism, a solution, a problem and some photographs. This post is divided into three main sections – a sharing section, because there has been some truly outstanding stuff come to my attention today, a problems and solutions section and some photographs. Think Different, on of the best pieces I have ever seen on the theme of embracing one’s diversity, in this case neurodiversity. The Nuances of Discrimination, which deals with protecting autistic people from discrimination, and is an absolute must-read. It’s a label that holds me down and pushes me into a box I can’t escape from. Give me some new words to define me. Or better yet, let me define myself. Ann: 1) One of us took the painting. 2) The painting was gone when I left. Bob: 3) I arrived first, third, or fourth. 4) The painting was still here. Chuck: 5) I arrived first, second, or fourth. 6) The painting was gone when I arrived. Tom: 7) Whoever stole the painting arrived after me. 8) The painting was still here. According to statement #7, Tom is not the thief. #8: Since the painting was there when Tom arrived, he could not have been the last to arrive. Tom must have gone there first, second, or third. #6: The painting was gone when Chuck was there, so he didn’t arrive first. #5: So Chuck got there second or fourth. #4 and #8: As two other members (Bob and Tom) arrived to see the painting, Chuck didn’t get there second, either. So Chuck arrived fourth. #3: This means Bob arrived first or third. #2: Since the painting was gone when Ann left, she didn’t arrive first. Otherwise, no member after her would have seen the painting. So Ann went there second or third and Chuck arrived fourth. But since two other members (Bob and Tom) saw the painting when they arrived, Ann didn’t go there second, either. So Ann arrived third. #3: Therefore, Bob arrived first, and Tom arrived second. In summary, Bob arrived first. Tom got there next and the painting was still there, so Bob was not the thief, and neither was Tom. When Ann arrived, the painting was still there, but it was gone when she left. So Ann was the one who stole the painting. Chuck arrived last and discovered that the painting was gone. Yes, Charlotte, you were right. The oystercatcher in shot with a gull. Close examination of this display of local publicity materials just inside King’s Lynn Library, will make my contribution to it obvious – it has looked like that for some time. If you’ve been through the American school system, you probably remember learning about the Bill of Rights. If you’re not from the US, or you slept through a decade of history classes, what we call the Bill of rights is just the first 10 Amendments to the Constitution. With the exception of the 10th Amendment, 1-9 cover the guaranteed rights of an individual person. Now, we all know that when the writers pictured a “person”, they thought of a Christian, white, male who owed property, so clearly, the Bill is not as comprehensive as you’d think. Some groups have used the official Bill as a template, writing things like The Patients Bill of Rights, and The Students Bill of rights, and I think that it’s about time that we made one for ourselves. My official response to being nominated for a blogger recognition award. The Tee Shirt Blogger focuses on diversity in the main, and rather the celebration of diversity, in many ways it is no different to my other blogs, l love the intrinsic rawness and freshness that eclecticism offers us in life for all the good, bad and of course downright ugly. I blog about a wide range of stuff, with my principal interests being cricket, public transport, nature, science, politics, autism and photography. Nearly all the posts that I produce feature some of my photographs, and this one will be no exception. As branch secretary of the National Autistic Society West Norfolk and an autistic person I have strong opinions on autism and they way in which autistic people are treated, and this frequently comes into the blog. When I share something from another source I will always acknowledge that fact, and link to my original source. If I make an error in a blog post I will correct it, and give the correction at least as much prominence as the initial error had (for an example of me calling myself out go here). 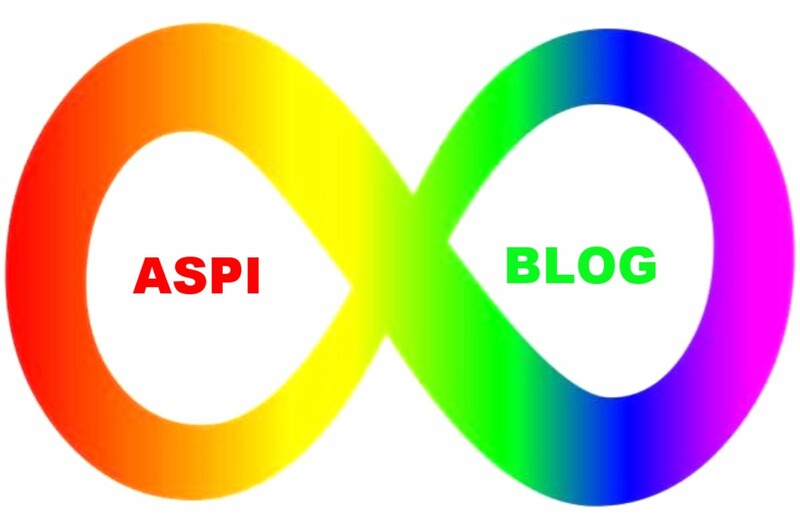 For more detail please visit my page “About Aspiblog“. Your blog is yours – blog the way you want to. Visit lots of other blogs and leave likes and comments – this helps you get noticed and increases the number of people who read your blog. I could just list my 10 nominees, but I actually going to say something about each of them as well. Cindy Knoke. Cindy is a photographer with a great interest in nature. Her most recent post is titled “Punto Tombo~“. Yarn and Pencil. This blog covers autism, sensory issues, knitting and various other stuff. As an introduction I offer you “Dunster Castle“. Autism Mom. An excellent blog about one family’s experience with autism. I have an additional reason for including this one – to show that autistic people do not object in principle to neurotypical parents of autistic children writing about their children – we object to neurotypical parents of autistic children writing in a way that contributes to the ‘othering’ of autistic people. Thus the post to which I link to introduce you to this blog is the self-explanatory titled “I Want to be Called Autistic“. International Badass Activists. This was American Badass Advocates, run by Eve Hinson, when I started following. It has since become first American Badass Activists and then International Badass Activists, while Eve Hinson has become Eve Reiland. I have been introduced to many interesting and important stories by this blog. As an introduction here is her Autistic Union Pledge. Finally, we come to thesilentwaveblog. This splendid blog is run by Laina, who also has blog specifically for sharing aspergian/autistic writing called Laina’s Collection. As an introduction to thesilentwaveblog I give you my all-time favourite from that site, “The Hitchhiker’s Guide to Neurotypicality“. I will shortly be attending to number 5! A mixed bag of a post, featuring autism, politics, mathematics and photography. As well as the wide variety of ,links that give this post its title it will feature some of my own stuff, notably pictures. Laina, guiding genius of thesilentwaveblog, has set up a new blog specifically for sharing stuff. Her announcement of this is here, while the new blog can be seen here. I end this little section with what is a new find for me, stimtheline, with a post titled “Autism is Me“. the gentleman has produced an excellent piece about the durability of Roman Concrete. From slate.com comes this piece about how to avoid all-male panels (“manels”) – it is long but an excellent read. As the author points out there is no excuse for an all-male panel. I would similarly say that if you are getting together a panel to talk about autism your starting point should be autistic people – and only when you have several lined up should you consider the desirability of including neurotypicals on the panel. A petition calling on the Spanish government to allow Catalonia a new, peaceful independence referendum. For UK readers only, a petition calling on our government to ban driven grouse shooting. Finally, “The C-320 Fullerene Polyhedron“. This is an easy question, even without the multi-choice options given on the site. If the 51 under the dividing line was replaced by 53 it would become fiendishly difficult – can you work out why? This is a twitter find.